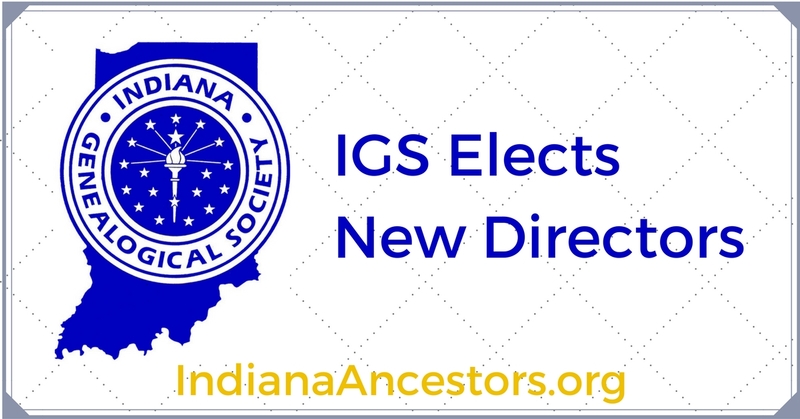 The directors will be inducted at the IGS Annual Conference in New Albany on April 28. They will serve 3-year terms. IGS would like to thank Nichelle Hayes for her service as Central District Director. I am searching for the parents of Artemisia/Artemacy Richards, born Aug. 25, 1801 VA; married Isaac Miller Oct. 24, 1822, Connersville, Fayette, IN. She died Oct 17, 1869, in New London, Henry County, IA. ; Burge Cemetery, FAG #6465575. 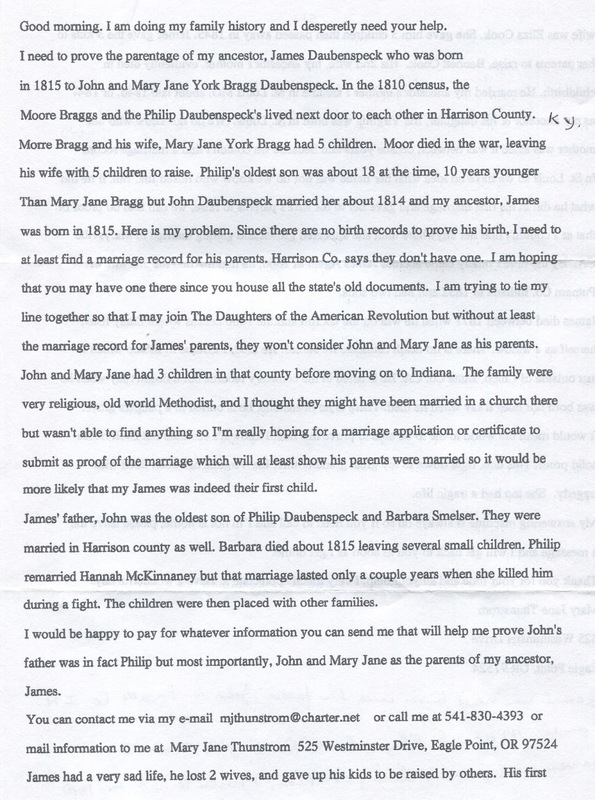 Seeking parents for Noah DEWEY b-1 Feb 1793 in Vermont, USA; d-1 Oct 1854 in Benton, Elkhart, Indiana. 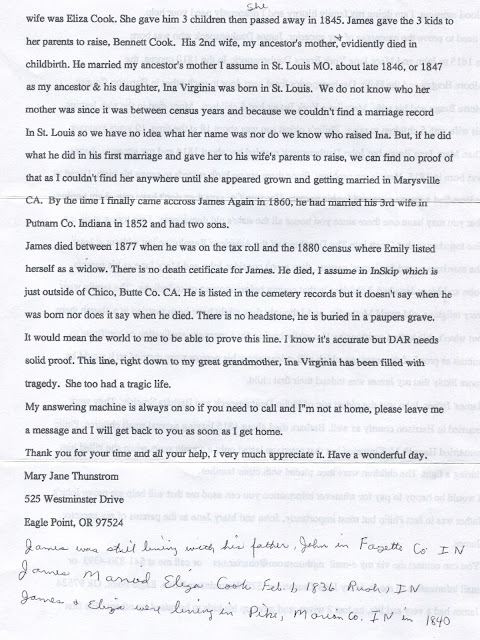 Married 5 Feb 1816 in Oneida, NY to Hannah WIGGINS b- 1792 in New York and died 6 Feb 1872 in Benton, Elkhart, Indiana, USA. 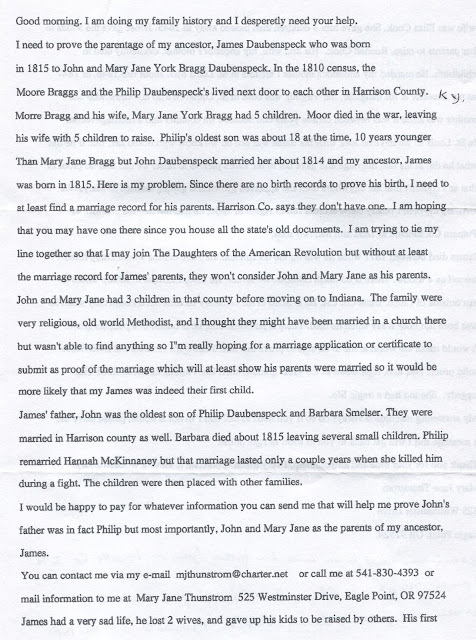 The “Life of Rear Admiral George DEWEY,” suggests he may be the son of Noah 2nd DEWEY born 8 July 1734 in Lebanon, Conn.
Spencer Turpin Eytcheson, born 1852 in New Harmony, Indiana; Married Minnie Anderson from Indiana. At some point they moved to Wisconsin and eventually to Saskatchewan, Canada. Who were their parents and where did they come from? Did they own property in Indiana? 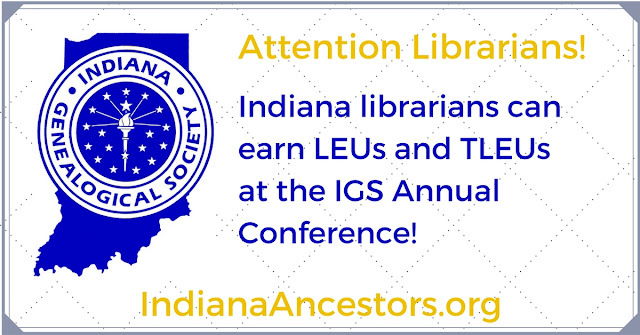 The Indiana State Library has approved Library Education Units (LEU) and Technology Library Education Units (TLEU) for Indiana library professionals at the Indiana Genealogical Society’s 2018 conference on Saturday, April 28, 2018 at the Indiana University Southeast campus in New Albany, Indiana. Registration for the conference can be made on the Indiana Genealogical Society’s website at indgensoc.org/conference.php. 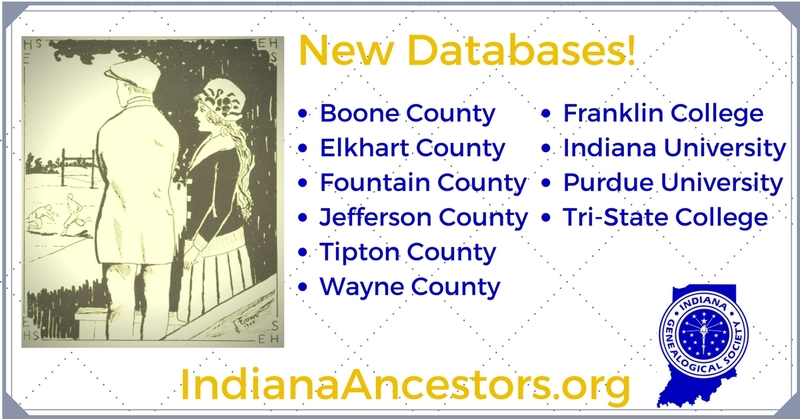 The number of databases on the Indiana Genealogical Society's website continues to grow — which means more opportunities to find your ancestors! Check out the latest additions. Note: All of these are members-only databases. If you're not yet an IGS member, join today! You'll get access to more than 2100 databases, plus IGS publications including Indiana Genealogist, and discounts on IGS events including the annual conference. - Graduates (1917). NOTE: Tri-State College later changed its name to Trine University. 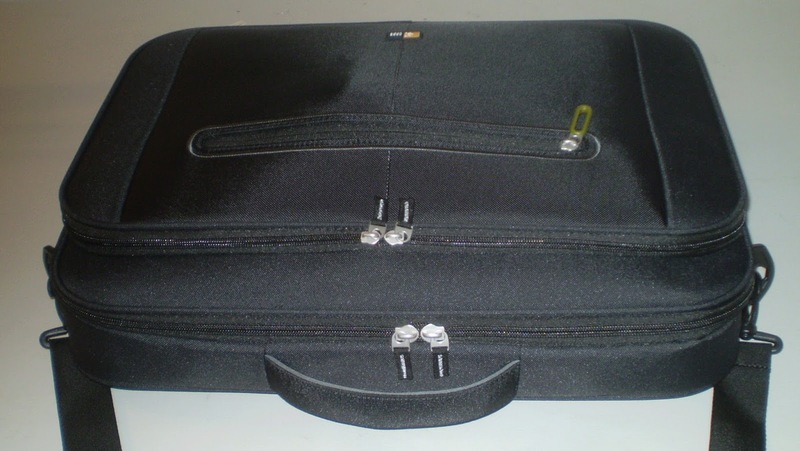 Can Your Society Use A Free Mobile Scanning Kit? 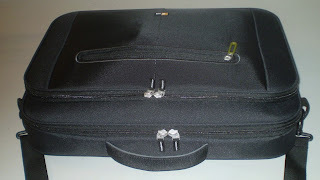 Part One: IGS will present to Indiana non-profit organizations desiring to engage in the digitization of local records, a portable scanning kit, consisting of a PC laptop computer, a flatbed scanner, a suitable carrying case, and necessary cables, software, and digital storage devices. Part Two: IGS will present, at the option of the receiving group, a workshop in the use of and the procedures for the project. a. Submitted databases shall be in TIF/PDF files of a minimum 300 dpi. Alternate formats shall be arranged before submission to IGS. b. Submitted databases shall be records that are in the public domain, or that shall have the copy holder’s signed permission for IGS to post online. Preferred submissions shall be records from 1945 and older and preferably records that have not been previously digitized. The local non-profit group shall assume responsibility for meeting this stipulation. c. The local non-profit group shall agree that IGS can post the databases in the FREE area of the IGS website. The local groups can use the same databases at their option. All submitted databases shall include a brief introductory section explaining the origin/source of the information. d. Databases shall be submitted to IGS via email attachments (if size permits), mailed CD or flash drives. These last will be returned, if desired. Part Four: After the local non-profit group furnishes IGS with the five required databases, the scanning kit becomes the property of the local nonprofit group. IGS hopes that the local groups will continue to digitize additional local genealogy records, but this is not a formal condition of award. select the Projects tab and then Digitizations. Apply now! You'll be glad you did!